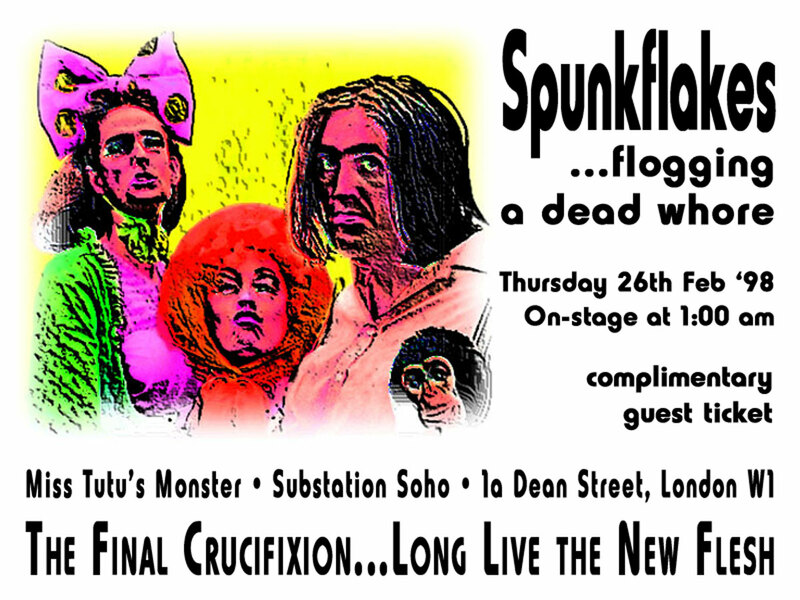 One of our final live shows as the performance art fart Spunkflakes, and one of two shows at Club Diva Tutu’s clubnight MONSTER in the heart of the West End. All the oldies rolled out for one more glorious spin around the dancefloor. 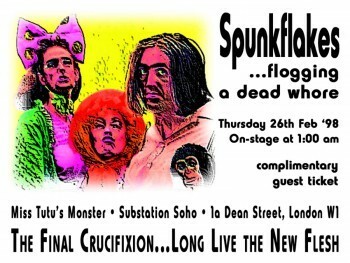 Most of the fun was backstage that night as we were re-united with old friends, fans and London club kids. Messy, messy messy, but then again most fun is.